Zap! Or, Where Would Science Fiction Be Without Lasers? Science fiction was right on top of this new development and even foresaw it. In 1898, H. G. Wells introduced an invisible but powerful heat ray as the weapon of choice for invading Martians in his story The War of the Worlds. Today, that would be an infrared CO2 laser. 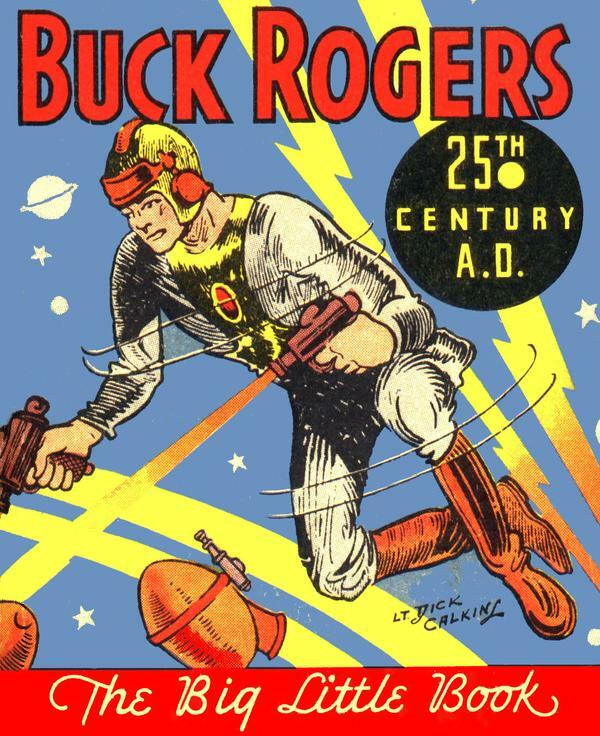 In the 1930s, space swashbucklers Buck Rogers and Flash Gordon used hand-held ray weapons in their movie serials. In the 1950s, The Day the Earth Stood Still and the film version of The War of the Worlds also featured weapons that used beams of light. After the laser was invented, films were even quicker to use its dramatic possibilities and sometimes predicted its potential. In 1964, a scene in Goldfinger showed James Bond (Sean Connery) tied to a table as a laser beam threatens to bisect him, starting at his groin. Bond manages to escape, but not before audiences see the laser beam slicing through the solid gold tabletop. This anticipated the widespread industrial uses of lasers that began in the 1970s. Naturally enough for a device initially called a “death ray,” however, most science fiction lasers appear as weapons. Probably the biggest laser ever imagined on screen is the gargantuan Death Star with which the evil galactic Empire destroys a whole planet in Star Wars: Episode IV, a New Hope (1977). Other imaginary weapons, though not exactly beneficial to society, are less horrific. These include various laser hand weapons and cannons, and in the film Real Genius (1985), a small, lethal laser designed to be mounted on an aircraft and used to assassinate selected targets with surgical precision. Sometimes fictional and real laser science become so interconnected that you can hardly tell them apart. 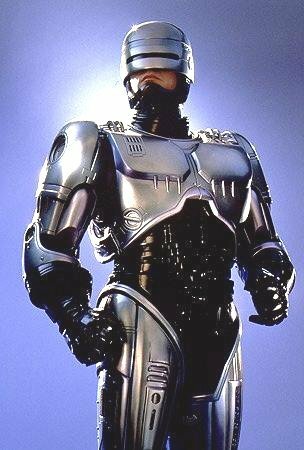 When President Ronald Reagan announced the Strategic Defense Initiative (SDI) in 1983, which would use lasers to shoot down hostile nuclear-tipped missiles, the program instantly became known as “Star Wars.” Reality turned back into science fiction when director Paul Verhoeven satirized SDI in his film RoboCop (1987), in which a space-based SDI laser goes badly awry and takes out acreage near Santa Barbara, California – probably not coincidentally, the area where President Reagan owned a ranch. A few on-screen lasers are benign, contributing to the goal of generating clean non-polluting energy by fusing hydrogen nuclei into helium, as happens in the Sun. The latest attempt to do this on Earth is to bombard hydrogen with terawatts of ultraviolet light from the world’s most powerful lasers, located at the National Ignition Facility, Livermore National Laboratory, California. The same idea shows up, though confusedly, in Chain Reaction (1996), where a laser somehow extracts energy from the hydrogen in water. 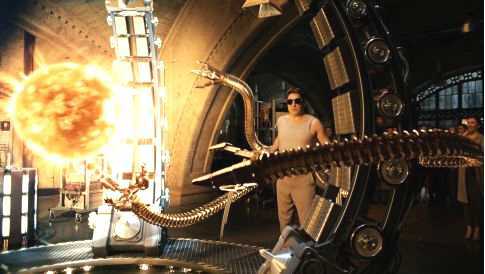 And in Spider-Man 2 (2004), physicist Dr. Octavius (Alfred Molina) initiates fusion with lasers. But the film can’t resist throwing in a touch of disaster. Instead of helping humanity, the reaction runs amok and wrecks Octavius’ lab. Science fiction films thrive on disaster and we probably won’t be seeing many on-screen examples of beneficial uses such as laser fusion and laser surgery, though these dominate the history of lasers (development of laser weapons continues, however). But we won’t miss them as long as we can hear that destructive but satisfying, or should I say electrifying, science fictionish “zap” – even though real lasers are generally silent; and even though nothing, laser or not, can be heard in space.